In her role as Finance and Operations Manager, Alisha plays an integral part in office operations and financial activities, ensuring that Eno staff have the tools necessary to successfully complete policy and program initiatives. Alisha also acts as staff liaison to the Board of Directors and Advisors as well as a primary contact for Eno’s members and Eno Transportation Weekly subscribers. Prior to joining Eno, Alisha worked as a consultant to Youth for Understanding, a non-profit that provides intercultural exchange programs. 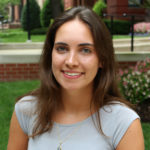 Alisha graduated from the University of Connecticut in 2014 with an Individualized Major in International Relations and a minor in Business Fundamentals.